Cher, Madonna, Sting, Bono...what do they all have in common? They’re incredibly pretentious. But they’re allowed to be pretentious because they are the best—they’re icons. 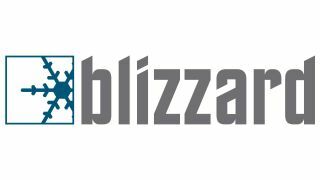 In that vein, following major growth in the LED pro and entertainment lighting industry over the past eight years, Blizzard Lighting announced that it will now be known simply as Blizzard. “We’ve achieved so much as Blizzard Lighting, but we can’t let anything hold us back. Blizzard is already a really long word with like, eight letters… and two of them are Zs. By dropping Lighting, we’ll immediately become 50-percent more efficient. It’s a move we simply have to make,” Blizzard CEO and chairman of the" bored", Will Komassa said in jest.